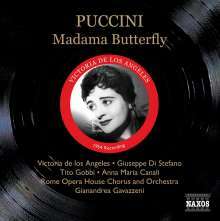 One of the finest ever recordings of Madama Butterfly, this 1954 taping has rarely been out of the catalogue. Victoria de los Angeles, never in finer or fuller voice, sings with radiant beauty, Giuseppe Di Stefano is a thrilling yet moving Pinkerton while Tito Gobbi brings unexpected depth and feeling to the rôle of Sharpless. 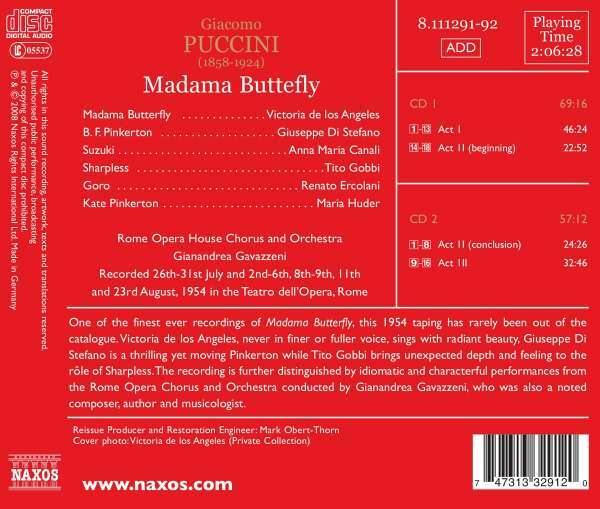 The recording is further distinguished by idiomatic and characterful performances from the Rome Opera Chorus and Orchestra conducted by Gianandrea Gavazzeni, who was also a noted composer, author and musicologist.